Saturday marks a huge day in the sporting calendar with the FA Cup and Scottish Cup finals taking place. 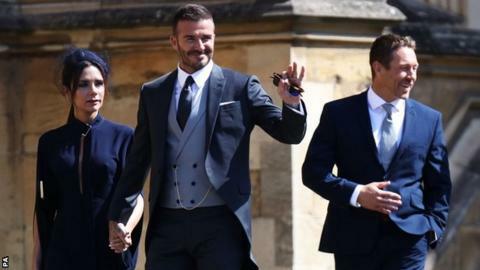 But some of the world's most recognisable sports stars were attending another big occasion - the Royal Wedding. The Duke of Cambridge, who is also president of the Football Association, had to swap Wembley for Windsor to perform best man duties for his brother Prince Harry, whose wedding to Meghan Markle was taking place. The widow of former Manchester United and Chelsea player Ray Wilkins will present the trophy to the winners at Wembley instead.